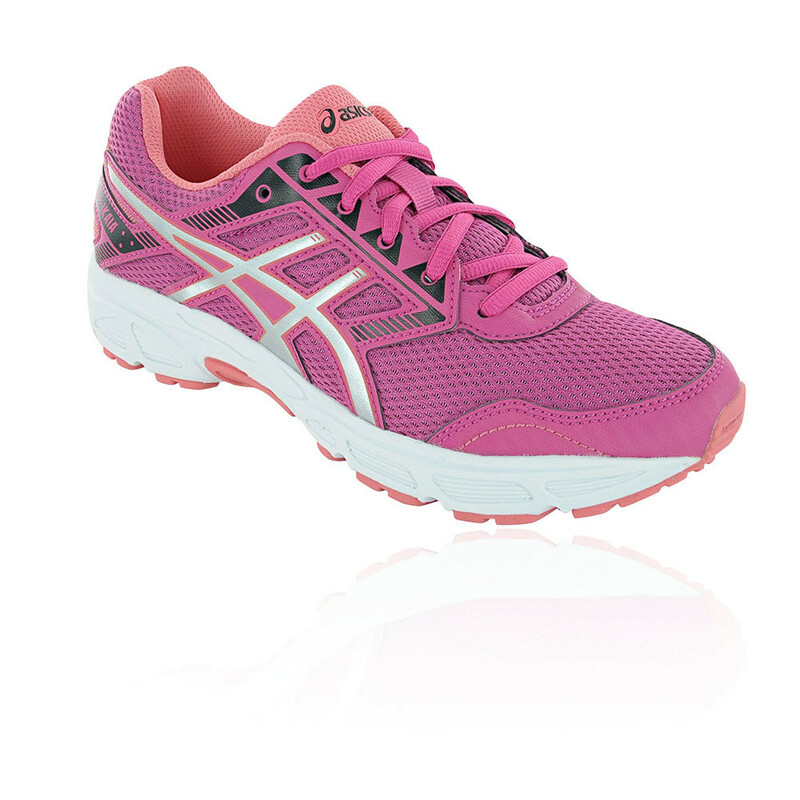 Look after little feet, in the GEL cushioned Ikaia 6 GS. "Lovely proper running shoes for our sporty daughter. Very light and supportive... far better than generic trainers from the high st."
"Great products at a great price. Perfect Transaction, Thanks,"
Mesh uppers will encase each foot in breathable comfort. Perforations in the fabric increase airflow to create a better, healthier environment for your feet to thrive in. Synthetic overlays swathe the midfoot and heel in increased stability; they unite with the traditional lacing system to promote complete lockdown, anchoring the wearer to the midsole and reducing in-shoe slippage so that they can enjoy smooth, distraction-free strides. 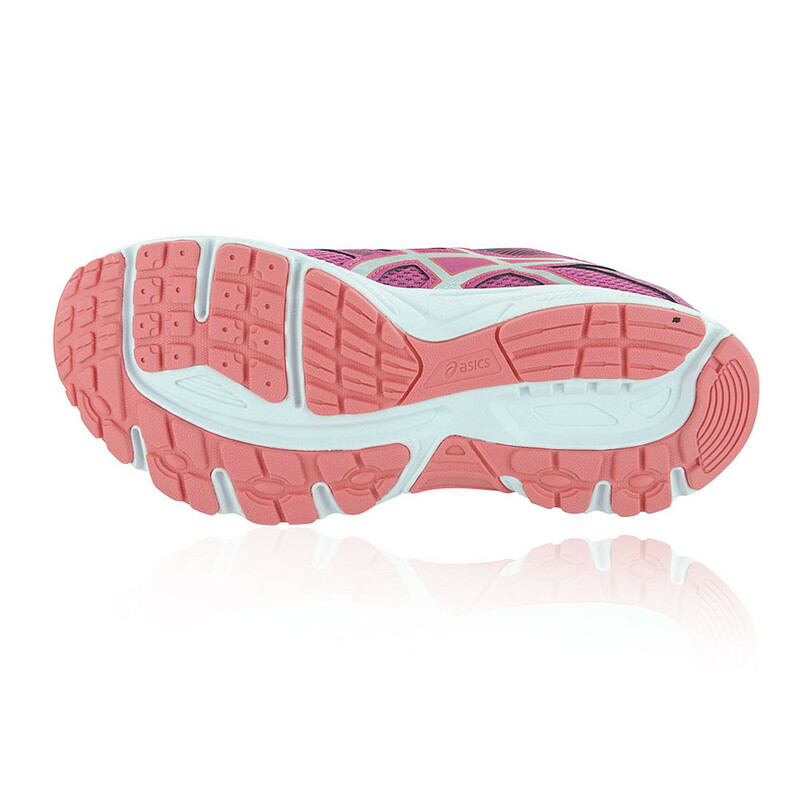 EVA resides in the midsole to supply resilient underfoot cushioning. Light in weight and low in profile, it spares juvenile joints as they strike down onto hard, unforgiving surfaces. A GEL puck sits under the heel to attenuate shock during the impact phase and promote a smooth transition to midstance. A solid rubber outsole completes the Gel-Ikaia 6 GS, supplying durable and sticky grip across every playground.